Edited March 9, 2018 - This pattern is now available for individual sale through my Payhip and Etsy shops. To celebrate the pattern release, get it for 25% off until March 20th. I had been making scrappy, colour coordinated 4 patch blocks for years as my leaders and enders project. I have a few hundred of them, but I wasn't quite sure what to do with them, lol. So, as part of the 30 Quilt Designs challenge in early 2017, I designed a quilt around those 4 patch blocks. 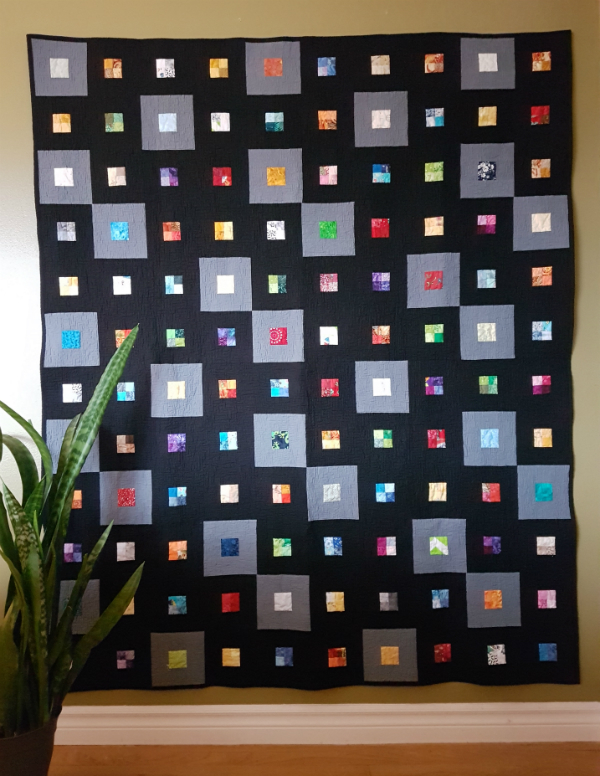 I have always loved bright colours against solid black, but the design seemed like it needed a little something more, so I added some medium grey and changed those blocks to feature 2 1/2" squares (I've been cutting those from my scraps for a while, so I have a nice collection of them, too). With my 4 patches already made and the 2 1/2" squares already cut, the quilt top came together really quickly. If you want to make this one, and you're not in a hurry, I'd definitely recommend making the 4 patches as leaders and enders. It makes sewing all of them feel painless and then the rest of the top is a breeze. 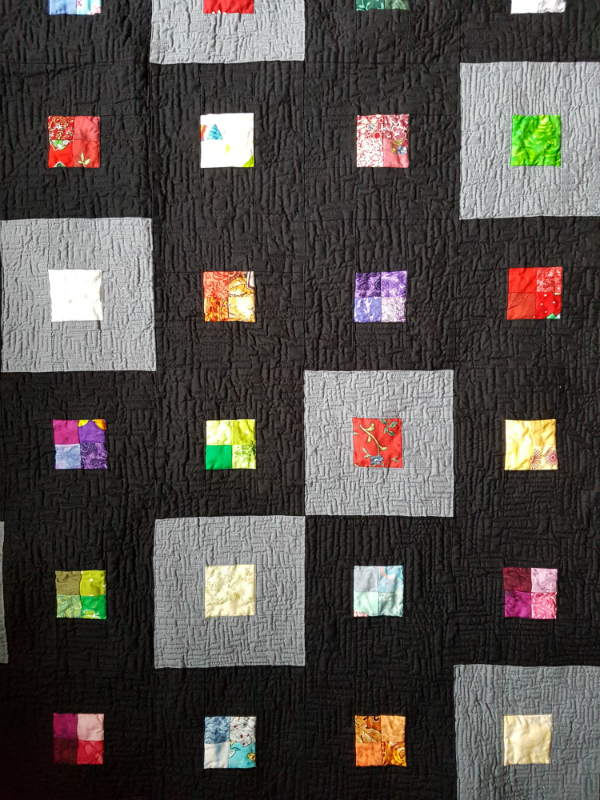 I had a little hiccup with the quilting design I chose, which you can read about here. 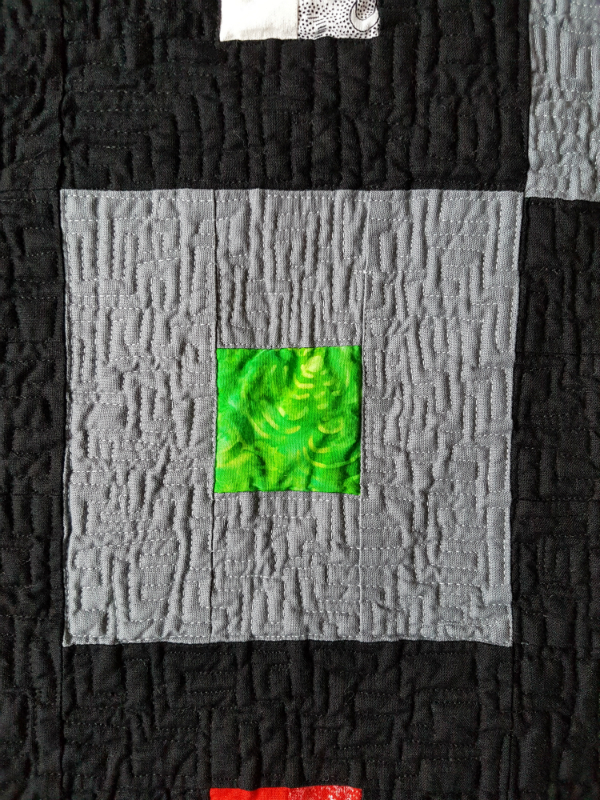 I ended up loving this square meander, though, so it all worked well in the end 😊 I also mused about quilting this quilt in this post about imperfections. 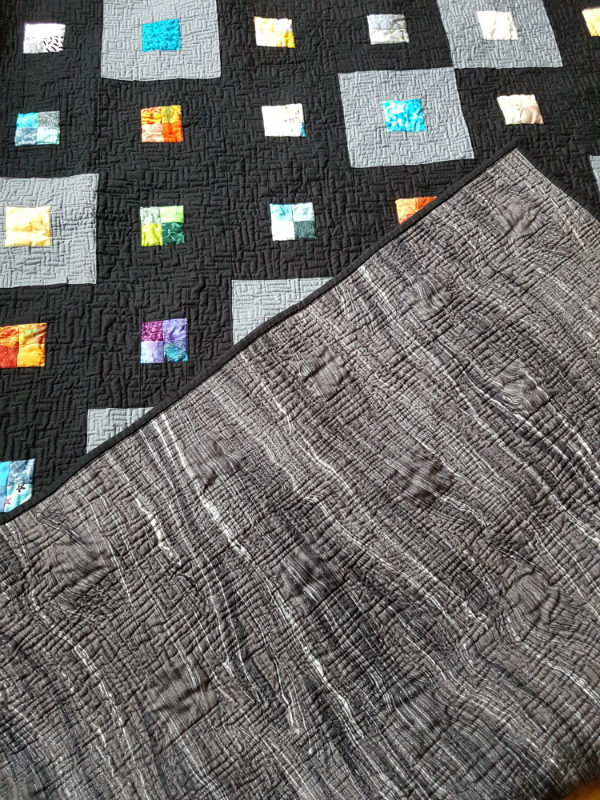 I quilted the black with Aurifil 2692 and the grey with 2610. 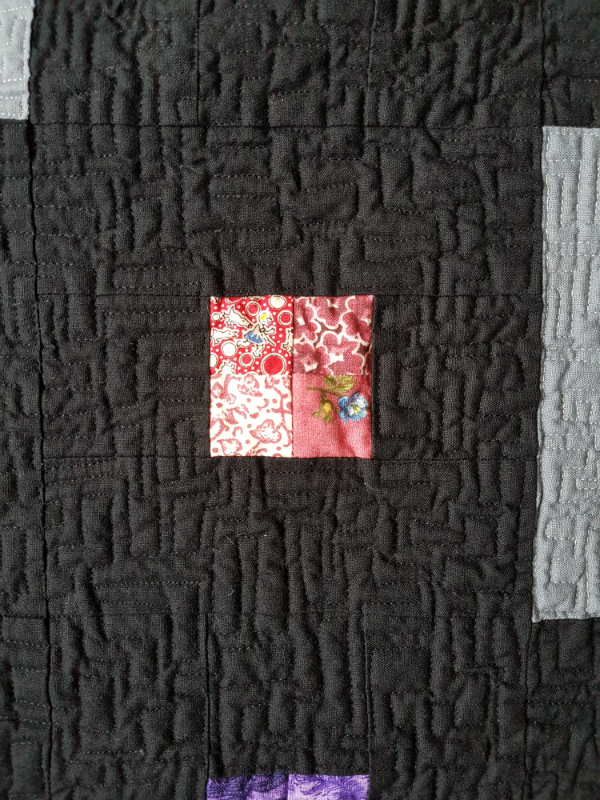 All while I was quilting the background, I debated what to do with the 4 patches and 2 1/2" squares. I was inclined to leave them unquilted, but I wasn't sure. I polled IG and FB, where the vote was evenly split between quilting them and leaving them as they were, so I took the easy way out and left them. I really do love how they pop against the heavily quilted background! 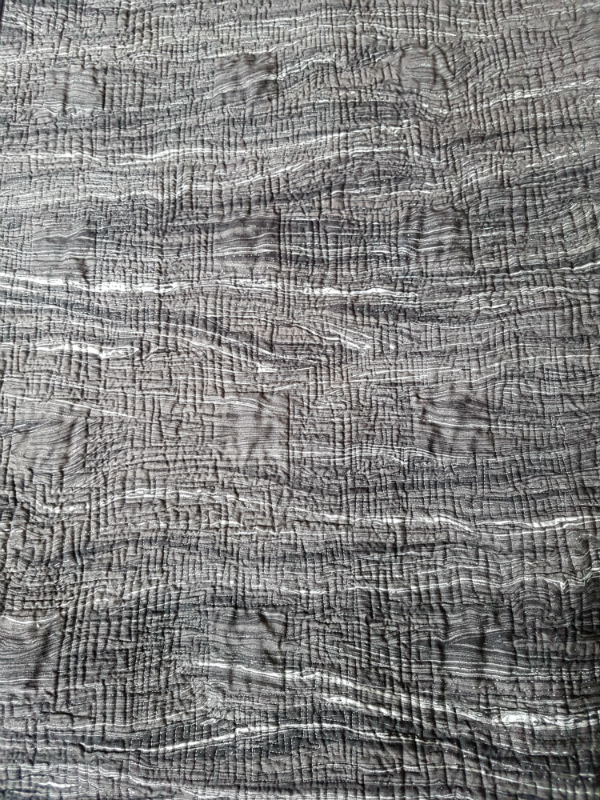 The backing is a gorgeous Northcott print, from their Sandscapes line. Seriously, I wish I had this is every colour available! Issue 20 of Make Modern is available now. Click here to get your copy 😊 Use the coupon code MM20for6 to get the issue for $6 AUD (the coupon code is good until January 7th). If you make Scraps Squared, I'd love to see it, so be sure to tag me on IG (@devotedquilter) or on FB (@devotedquilterdesigns). I still have hundreds of 4 patch blocks, and I'm curious to see how different this design would look with a different background, so I'm considering making another version soon. I just have to decide what colours to use for the background, lol. I've thought about white and a light grey, two shades of blue, two shades of green, grey and teal...I just can't make up my mind! What background colours would you suggest I try? I have two more quilts scheduled to be in Make Modern in 2018, and both of them are designs from the same 30 Quilt Designs challenge. There are several more I want to make from that challenge, and some still from the first challenge in 2016 too. I know one thing for sure - I'm never going to be bored! **Note - this post contains affiliate links, which means that if you click the link and then make a purchase I may receive a small commission. This does not affect the price you pay. This turned out fantastic! I love the backing too! The texture really stands out - I just want to reach out and touch it! Congrats on another MM apearance! This is gorgeous. It feels a bit like you're moving through space, but with the most colorful stars. Congratulations! I am a fan of black/charcoal backgrounds. The bright colors just pop against the dark background. 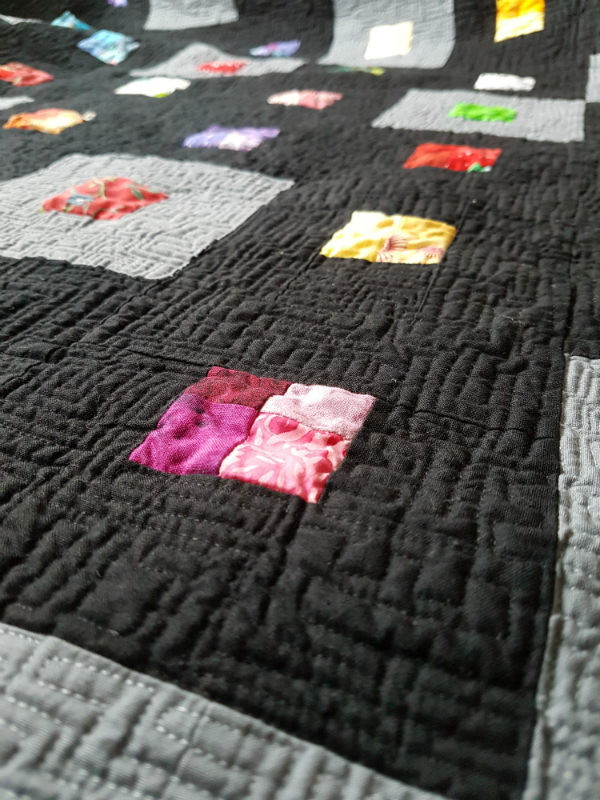 The quilting and the texture make it absolutely cuddleworthy - best of both worlds. What a super attractive and striking quilt! Your 4-patches really sing in it, too. This is one of those shares that makes me want to drop what I'm tasked with right now and start doing one of these! I love this!! I have that issue in my inbox now - this definitely is going on my To Make list. I now have a million ideas for colour choices. Thank you for the inspiration!! Congrats! on a fine finish AND its publication. This is amazing. I haven't read the recent issue yet. Will have to go look for your quilt.